Responsible corporate citizen: VP of San Diego advisory council, Habitat of Humanity, Blood Bank, and The Cancer Society. 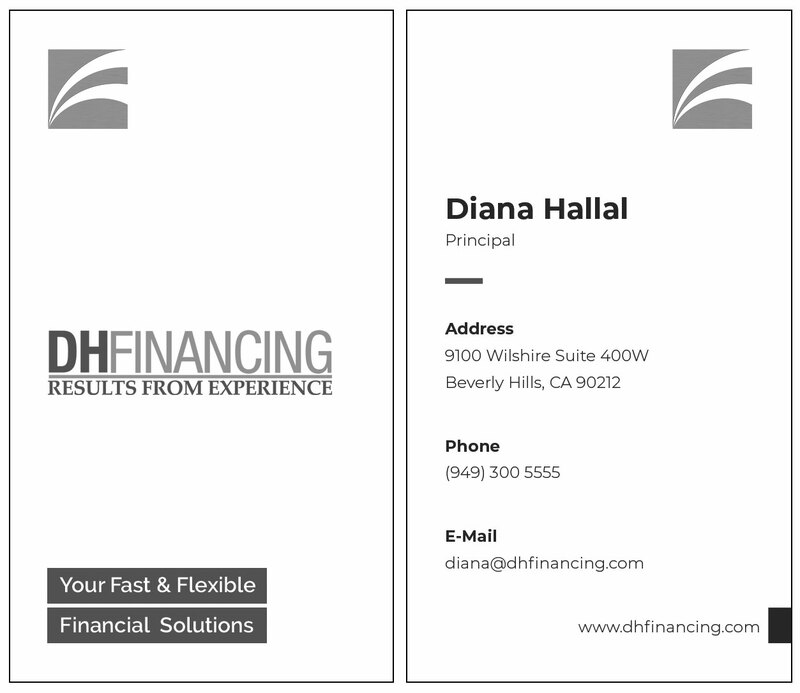 Diana, Principal of DH Financing, based in Beverly Hills, California is a 20-year veteran in the banking and financial service industry specializing in financing commercial buildings. Her passion for real estate and helping businesses grow is what led her to start DH Financing. She has worked for top banks such as Bank of America, Wells Fargo and Union Bank and has achieved and exceeded annual goals on a regular basis. Diana has built a solid foundation of lenders – working with over 100 of them nationally. She is responsible for the company’s day to day operations in addition to new business development. Diana Hallal embodies integrity, vigor, and proficiency in every detail of her financial services. She is well-respected in her field. Diana is active in her community and is involved with several nonprofit organizations and associations including CREW (Commercial Real Estate for Women), AIR (Association Industrial Real Estate), SIOR (Society of Industrial & Office Realtors). Ms. Hallal graduated from St. Joseph University with a degree in French literature, and from Saddleback College with a degree in Business Administration. Her varied skills and experiences have molded her into who she is today – a finance expert with a track record of success.